Methyl Ethel‘s single Ubu has been certified Gold by ARIA, Dot Dash Recordings and Remote Control Records announced. Ubu emerged on the band’s second album Everything Is Forgotten and placed at #4 in triple j’s Hottest 100 in 2017. Recently, the band’s Jake Webb explained to triple j Mornings how the song and the title evolved. “The title is one thing people are most confused about,” Webb admitted. He went on to explain that he had been working at the Perth State Theatre doing live captioning for a play it had on, Albert Jarry’s radical Ubu Roi. The play’s title is sometimes translated as King Turd; but “Ubu” is actually a nonsensical word that evolved from the French pronunciation of “Herbert”, the name of the teacher that Jarry was sending up. It resounded with what Webb was going through at the time – moving on from friends, and feeling guilty, especially as conversations with these people were awkward. Webb, Thom Stewart and Chris Wright, have clocked up over 25 million Spotify streams alone, and all of the band’s tour dates in Australia and the UK since 2016 have sold out. 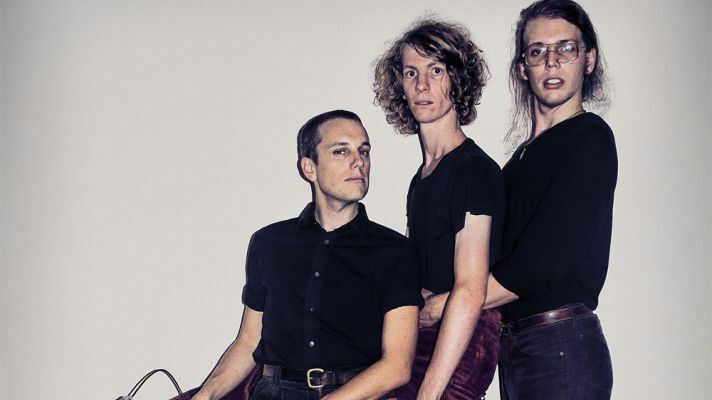 Methyl Ethel play Spin Off in Adelaide and Splendour In The Grass this weekend where they will debut new material. They play 4:50 pm at Spin Off on Friday, July 20 and the Splendour amphitheatre at 4:45 pm on Saturday, July 21. They’re currently nominated for best independent album/EP (Everything Is Forgotten) and best single (Ubu) at the AIR awards. Last year they took out best album and best pop act at the WAM awards in Perth.